Our friends at the South Pasadena Community Emergency Response Team have released their calendar of events for the rest of 2019. We’ve added these events to our calendar page and will update the listings if/when new dates are announced. 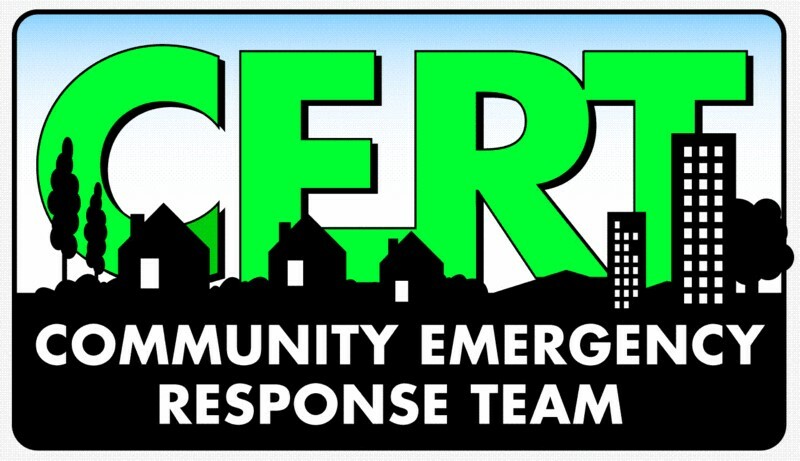 Visit the CERT page to register for the refresher course or the fall training session. SPARC will participate in the ARRL Rookie Roundup this Sunday, April 14. The contest runs for six hours, from 11 am to 4:59 pm (1800 to 2359 UTC). • You can be a Rookie if you were first licensed in 2019, 2018 or 2017. Send the year you were first licensed in the exchange. • If you were licensed before 2017 you can also be a Rookie if you made your first Amateur Radio contact during 2019, 2018 or 2017 or if you haven’t made any contacts on the contest mode (SSB for April) before the Rookie Roundup contest. Send the current year (2019) in your exchange. Either of these reasons qualify you as a Rookie for just one year. • Rookies will attempt to make as many contacts as possible during this six-hour event. Rookies work everyone, and non-Rookies work only Rookies. This is a great way to try out contesting in an event designed for newcomers. You can participate from your own station on the 80, 40, 20, 15, and 10 meter HF bands (3.840-3.860, 7.215-7.235, 14.240-14.260, 21.315-21.335, and 28.390-28.410 MHz). We’ll be set up with a few operating positions around the northeast corner of Garfield Park. Hope to see you there! John AC6VV is Assistant Director of the AC100 and Director for Amateur Radio Communications. 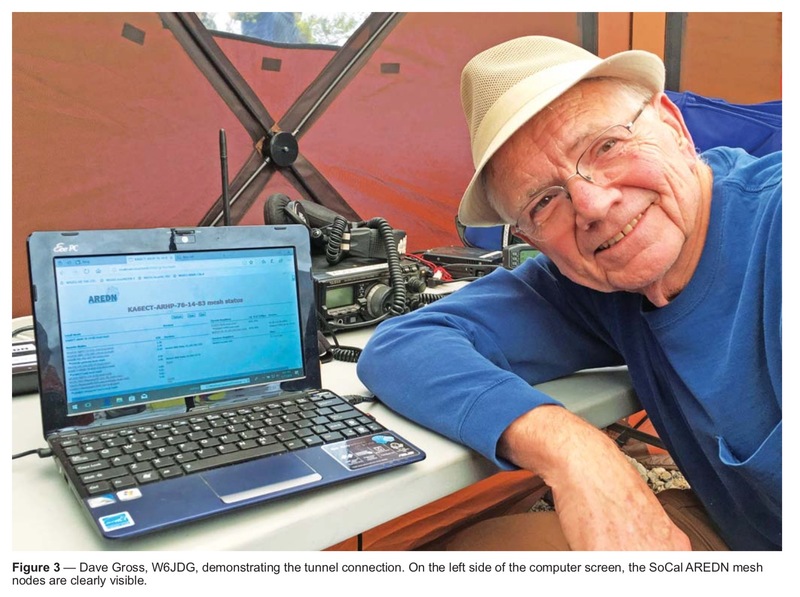 He organizes and manages all Amateur Radio Communications at AC100 and will share the challenges, anecdotes and rewarding nature of radio communications at AC100! Doug WA6IFY is Cloudburst Checkpoint Station Communications Leader. He organizes and manages the ALERT communications team at Cloudburst checkpoint, a remote location deep in the Los Angeles Forest, where Amateur Radio and Satcomm are the only means of communications. Doug will talk about the ins-and-outs of running communications at a checkpoint, the challenges that operating remotely present and the fun operators have during the race! Like many races, the AC100 requires Amateur Radio Operators work off-grid, address challenges on the fly and excel at team work, just like they would during a disaster deployment. Supporting the AC100 is one of the most rewarding and fun Amateur Radio activities the L.A. area has to offer. Join John, Doug and SPARC for an evening of fun and anecdotes, and learn more about AC100. Robert K6YZF sends these photos from the Crescenta Valley Radio Club’s Winter Field Day at Deukmejian Wilderness Park. Our friends at the Crescenta Valley Radio Club will be participating in the annual Winter Field Day. You can stop by and visit their stations in Deukmejian Wilderness Park or give them a contact by operating from home. Full information on Winter Field Day is available from the Winter Field Day Association. More details on CVRC’s participation is available on their site. This month’s QST Magazine features an article written by SPARC member Oliver Dully, K6OLI about using MESH networking to support the annual Baker 2 Vegas race. Oliver explains how the combination of MESH (wifi over amateur radio bands) and a satellite link dramatically increases the capabilities of hams in an emergency. (See our write-up of Oliver’s presentation about Baker 2 Vegas here.) Also mentioned in the article are fellow SPARC members Tran K6NHI and Brian KM6IGY, as well as members from Pasadena Radio Club and ARES Northeast. Separately, the City of Los Angeles has released an app called ShakeAlertLA. It is designed to give you an advanced warning of a quake if one is detected by the ShakeAlert system. 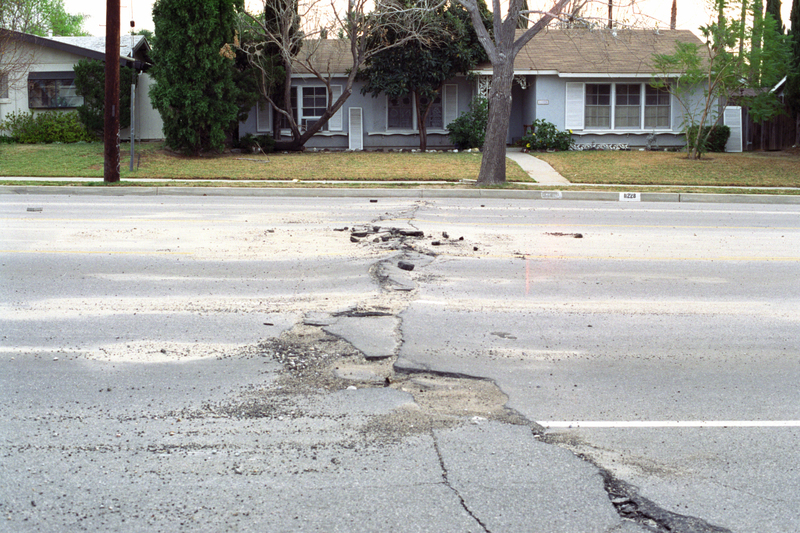 Dr. John Vidale of the Southern California Earthquake Center gave a talk on ShakeAlert at a SPARC-sponsored community meeting last May. More information and a video about the app can be found in this LA Times article by Ron-Gong Lin. Photo taken Saturday, January 22, 1994 by Gary B. Edstrom, and released to the public domain via Wikimedia Commons. The following information comes from our friends at ALERT, the Altadena Local Emergency Radio Team. An amateur radio license exam will be administered on February 16, 2019 at the Altadena Sheriff Station. Testing session begins @ 3PM. Be on time. Allow about 40 min to take exam. Exam is corrected right away. $15 exam fee, cash or check. Exam fees are collected on behalf of ARRL/VEC which has an agreement with the FCC to process license exams and applications. CONTACT: Dep. Paige for more information and to sign up for this opportunity to earn your amateur radio license. DCPAIGE@LASD.ORG or cell # 626-241-2499. 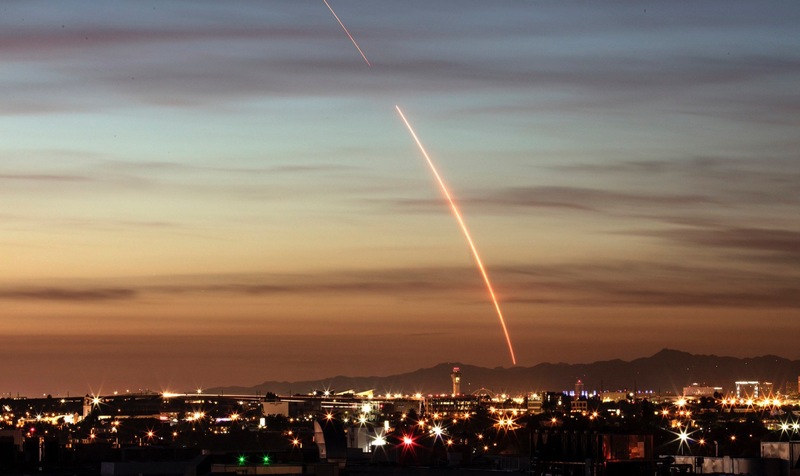 Residents of Southern California witnessed some spectacular space launches over the past year. If you’d like to receive advance notice about the next rocket taking off from Vandenberg Air Force Base, sign up for Launch Alert. The service is a free e-mail newsletter covering launches, SoCal astronomy, and space news. The list moderators claim that many of the events they post about are visible across the southwest. Launch Alert is just one of dozens of ham (or ham-adjacent) lists maintained by the free amateur radio community site QSL.net. Photo via the official Space X Flickr feed. Unfortunately, the EOC room at the South Pasadena Fire Department is still under construction. The SPARC board has therefore decided to officially cancel our regular meeting tomorrow, Wednesday December 5. Unofficially some of us are getting together tomorrow at Canoe House to talk radios, reminisce about the many fun events we have had in 2018 and enjoy each other’s company. You are welcome to join us at Canoe House ( goo.gl/maps/DxfQWuetdRo ) from 19:30 onwards!